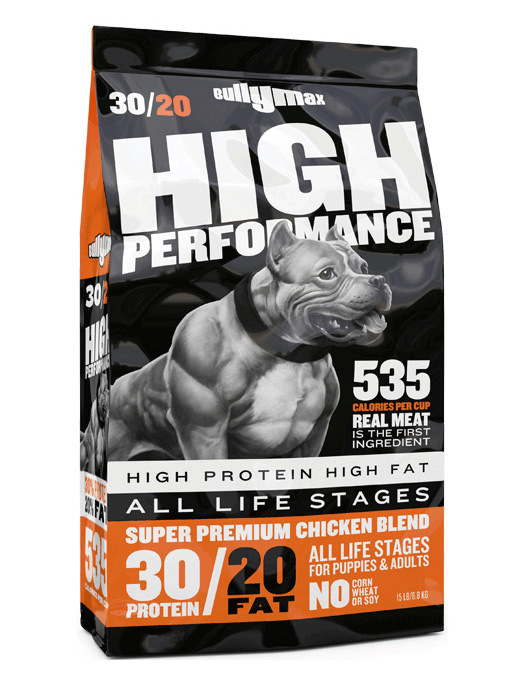 Bully Max High Performance Premium Chicken Blend. An all natural high performance recipe ideal for working breeds such as the American Bully & American Pit Bull. 535 calories per cup. More than any other brand in it’s class. GUARANTEED ANALYSIS: Crude Protein MIN 30.0% | Crude Fat MIN 20.0% | Crude Fiber MAX 3.8% | Moisture MAX 10.0% | Omega 6 MIN 3.85% | * Omega 3 MIN 0.5% | *Total Microorganisms MIN 31m CFU/lb. 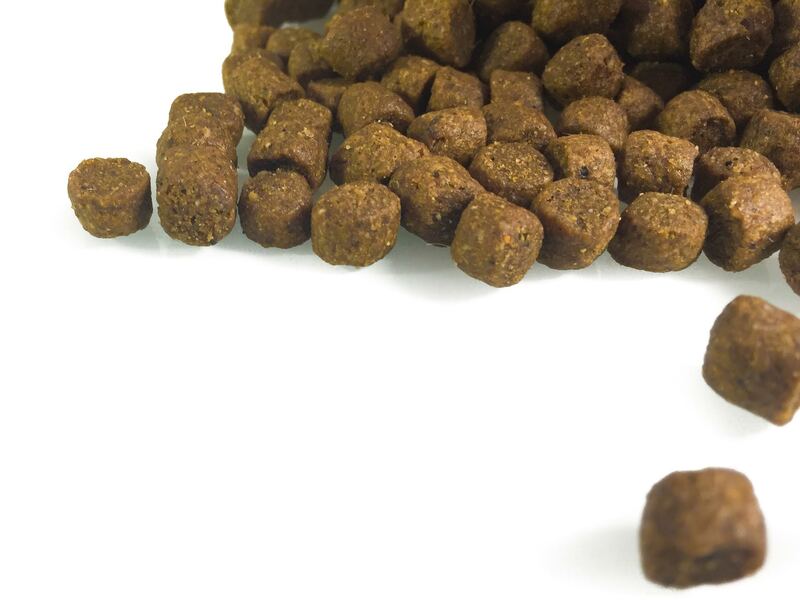 RECOMMEND DAILY AMOUNT: To determine how many cups you will feed your dog per day as well as how long a 15 lbs. bag will last, enter their weight, activity level, and enter 535 for the calories per cup (This is what Bully Max High Performance Contains).